Home » Have Your Say » Who are you hoping to see in Sangay’s new cabinet? Who are you hoping to see in Sangay’s new cabinet? 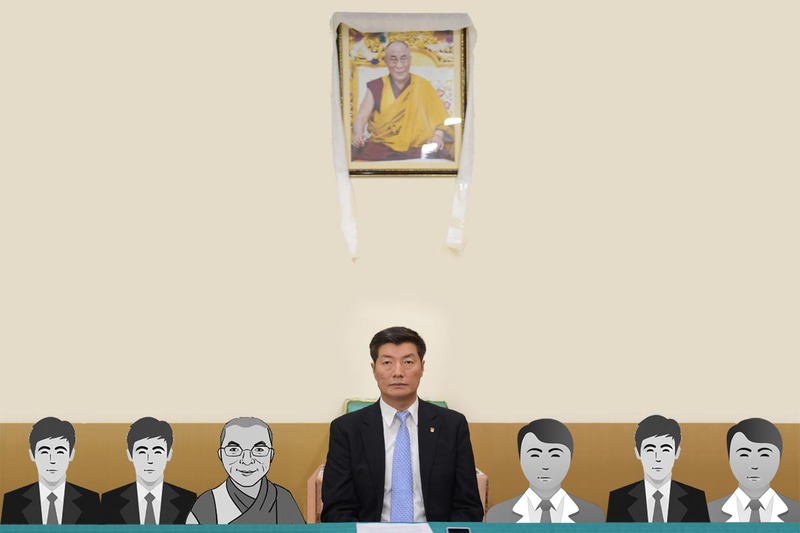 Lobsang Sangay took the oath of office for his second term as Sikyong of the Central Tibetan Administration (CTA). Thousands of Tibetans and supporters attended the oath-taking ceremony that took place in the presence of Tibetan spiritual leader the Dalai Lama at the Tsuglakhang Temple in McLeod Ganj. Sangay was re-elected on 27 April after defeating his only rival, Penpa Tsering. He polled about 57 percent of the 59,353 votes cast by exile Tibetans around the world on 20 March. He will propose his new cabinet ministers (members of the Kashag) in the exile parliament on 1 June, choosing up to seven members for each of the seven departments of the CTA. The 45 new members of the Parliament will take oath on 30 June, and elect a Speaker and a Deputy Speaker in the afternoon of the same day. The new Speaker and Deputy Speaker will take oath on morning of 31st, and the new 16th parliament will be in session till 3 June. Speculations are rife that Sangay will appoint Sonam Topgyal Khorlatsang for Home, Sonam Tsering Frasi for Finance, and Ven Karma Gelek Yuthok for Religion and culture Department. Ngodup Tsering, who was the education minister in his previous cabinet, would retain the same department. He would be the only one from the old Kashag. Who are you hoping to see, and who do you think would make it in Sangay’s new Kashag? Everybody, it is not Kyirong. It is Kyidrong. Don’t misspell it. Two more people to watch are Lobsang Sangay’s buddy Ari Dhonchoe Kaydor Aukatsang and his sibling Yudon Aukatsang. My personal take is that the Sikyong only offers a shortlist, the final decision is not made by the Sikyong. 1. Sonam Topgyal Khorlatsang – candidate of Juchen Kunchok and gang (the group that tone deaf to anything His Holiness has to say.) – Home. 2. Pema Chhonjor – Religious Dept. Man Friday and whip for Khampa unity. Poster boy of behind the scene operator. 3. Tsering Tsomo from Canada – old chummy and supposed to be new amdo/women face; rumored to be in charge of Health Department. 4. Ngodup Tsering – Education. It is well known that for his endorsement and kyirong votes, he sought posh Ari thonchoe but got check mate. Now back to his old role. 5. Chithue Karma Yeshi – Reward for refusing to play opposition member role in the Parliament. 6. Karma Gelek (Ngari candidate) deputy speaker (nyingma) Geshe Whatever his name is as possible religious minister. 4. Health Minister who is a total failure. There is also rumor that Lobsang Sangay will appoint someone from Kyirong community as head of office of Tibet, Nepal. Courtesy Taklha’s wife.